As the daughter of a veterinarian, Dr. Fiona Caldwell grew up playing in kennels with bandage material and tongue depressors. Eventually this turned into a passion for animals and veterinary medicine. After completing her undergraduate degree in Biology and Chemistry at Willamette University in Salem, Oregon Fiona received her veterinary degree at Colorado State University in Fort Collins, Colorado in 2007. Dr. Caldwell and her husband relocated to Boise after completing vet school in 2007 for what was meant to be a temporary stay. That was twelve years ago and they are glad to continue to be part of our wonderful community! She joined the Habitat team in 2018 and couldn’t be happier to provide the best care and compassion to Habitat’s wonderful clients. Dr. Caldwell’s professional interests include orthopedic, soft tissue and dental surgery, and exotic animal medicine, including avian, reptilian and small mammal medicine. 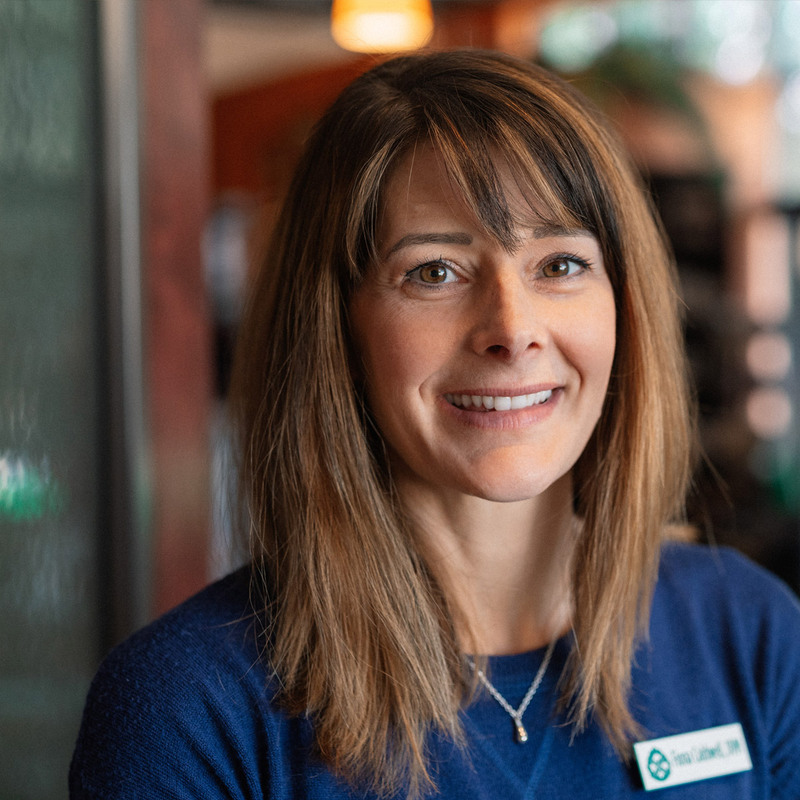 When not in the clinic caring for four legged creatures, Dr. Caldwell enjoys the company of the two legged variety, namely her daughter Alexis and son Kellan, and of course her husband Marc. She has two geriatric dogs at home, a three legged Pomeranian mix named Tulah and an ornery Shih Tzu named Pepe’. In her spare time she enjoys art, especially pet portraits, home improvement projects, reading and being outdoors.